Cumin, sometimes spelled cummin, (Cuminum cyminum) is a flowering plant in the family Apiaceae, native from the east Mediterranean to India. Its seeds (each one contained within a fruit, which is dried) are used in the cuisines of many different cultures, in both whole and ground form. In Asia and especially in India the spice can be found in many dishes. It also has many uses as a traditional medicinal plant. Where to use the seeds? 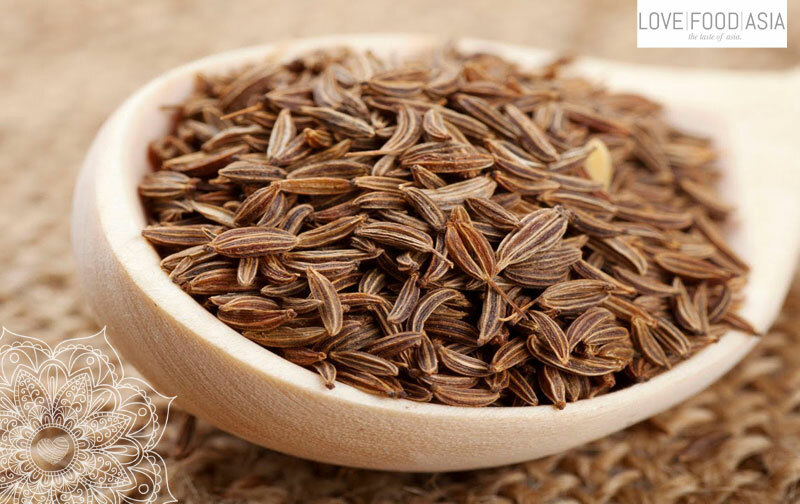 Cumin seed is used as a spice for its distinctive flavour and aroma. It is globally popular and an essential flavouring in many cuisines, particularly South Asian (where it is called jeera, Northern African, and Latin American cuisines. Cumin can be found in some cheeses, such as Leyden cheese, and in some traditional breads from France. It is commonly used in traditional Brazilian cuisine. Cumin can be an ingredient in chili powder and is found in achiote blends, adobos, sofrito, garam masala, curry powder, and bahaarat. In Myanmar, cumin is known as ” ဇီရာ” ( zi yar ) and used as a spice. In South Asian cooking, it is often combined with coriander seeds in a powdered mixture called dhana jeera. The main producer and consumer of cumin is India. It produces 70% of the world supply and consumes 90% of that (which means that India consumes 63% of the world’s cumin). Other producers are Syria (7%), Iran (6%) and Turkey (6%). The remaining 11% comes from other countries. In total, around 300,000 tons of cumin per year are produced worldwide. In 2007, India produced around 175,000 tons of cumin on an area of about 410,000 ha., i.e. the average yield was 0.43 tons per hectare.